Now if the Common Core and digital learning were being sold as destroying future American prosperity and allowing China and India to become the world’s dominant economies, politicians and taxpayers at all levels and in every other country would hopefully hit the brakes. So that’s not the sales pitch. In fact, as we have seen the book Endangering Prosperity: A Global View of the American School is getting touted in Brookings Institute programs and a September 12, 2013 Wall Street Journal article on “The Vital Link of Education and Prosperity” by authors Paul E Peterson and Eric Hanushek. Now I am also getting webinar invitations to discuss the book. A full court press would be the basketball term. And the fact that what we are actually getting is the OECD’s promotion of the humanist psychology practices into the classroom via PISA gets omitted from all the discussion. It is the sought remedy, transforming education to perform well on the poorly understood PISA, that actually will gut mass prosperity and promote a crony capitalism instead. Politically directed public money that benefits a chosen few at the expense of the many, while gutting the transmission of knowledge and substituting a psychologized Curriculum of Affect and Guided Perceptions that are Politically Compelling in its stead, is a lousy deal for most of us. Something to be opposed vocally and frequently. Which is why the real implementation of the Common Core is hidden in side reports and accreditation standards and ridiculously erroneous readings of federal disabilities and civil rights laws. Likewise, if the attached economic vision were accurately pitched as part of China’s policy of ‘picking corporate winners’ who will become multinationals and eventually become the dominant companies in the global markets, governors and mayors and Congress critters might surmise that this is not a good long term growth strategy for the US. If all of us properly understood that these education reforms are tied to a “collaborative relationship between state and business” we would immediately discount the Chamber of Commerce or political or media support that this is all “a good thing.” Only if you have access to that gravy train of public money taken from taxpayers or charged to them as debt and that prosperity cannot last with education determined to manipulate minds and changing higher ed to give diplomas out equitably to demographic groups. Last week there was a World Economic Forum in Dalian, China that was invite-only. 1500 invites to movers and shakers from all over the globe for the New Champions annual conference that is now called the “Summer Davos.” It was the seventh such confab and I was quoting from the original intentions of this event from back in 2007 from a prof at Stellenbosch University. Should we be blindly adopting the education proposals that are tied to this vision of the future? “Who then are the new champions? It is very apparent that China and India are fast becoming the winning economies. Their companies and government bureaucrats are equally impressive with their financial acumen and drive toward their objective–capturing markets and creating a winning national economy.” Note: They are not talking about the US economy being the winner but a loser. No wonder the Chinese are willing to finance so much of our public debt that then gets used to pay off states and localities and school districts to push a government-planned economy that seeks to extinguish individualism and high mental capacity. All at the same time. Does anyone think the Chinese will continue to finance all this deficit spending once the mental aptitudes of the US masses have been effectively extinguished? Now I would argue that a conference planned by the Chairperson and founder of the joint US-China Collaboration on Clean Energy still has great intentions about intervening in the name of Green Energy, but then I do not tend to take self-interested statements at face value. But this IS the vision of the future that is tied to all the US Governors wanting to take control over education in their states so they can plan “Workforce Development” consistent with “Economic Development” and social equity. The last one gets marketed with its own concentric circle labelled “Justice Too.” People from both sides of the aisle are chasing after this dirigiste-vision that ultimately promotes a China as the ascendant power trajectory. And China, with its one-child policy and reams of corporate and public sector corruption, needs the US to unilaterally hobble its future capacity via poorly understood education reforms. Except I understand them and now so do you. We also understand the significance of having Dennis Meadows, one of the original co-authors of the controversial 1970s Club of Rome book, Limits to Growth, leading a Dalian program this year on “Decision-making” and systems thinking. Leading no fewer than 3 different programs was the Institute for the Future’s Marina Gorbis who we met in this rather chilling post. http://www.invisibleserfscollar.com/weak-humanscomputersexpert-modelling-of-captured-data-is-this-your-approved-vision-of-the-21st/ . And when I wrote that I did not know Marina had spent years doing psychological research at SRI. Something she openly acknowledged here. http://odessatothefuture.com/?page_id=2 Have you ever noticed it is a lot easier to accurately predict the future if you push a government-centric vision and education premised as a platform to push Humanist Psychology on unwitting parents and students? It’s also easier if you openly push radically new forms of political governance. Since we were not invited, here’s the Rethinking Education visual put on there by MIT. http://www.weforum.org/sessions/summary/ideaslab-rethinking-education-massachusetts-institute-technology . That would be where Peter Senge teaches and is a reminder of the tight links between digital learning and systems thinking. And the unappreciated economic and political vision attached. And here http://www.weforum.org/sessions/summary/strategic-shifts-societal-ecosystems is the graphic that goes along with the envisioned New Roles for Business and Civil Society in the 21st Century. Might as well know what is intended for us. And here http://www.weforum.org/sessions/summary/reversing-income-inequality is the intended plan to use the powers of government and education to reverse income inequality. That should give you a good idea of where this is all going and question whether this in fact is a vision US schools should be pushing without realizing it. I am going to close with a story that illustrated to me the extent to which US politicians are being told whatever story it takes to get them to sign on to supporting these transformative vehicles. Usually touted as “public/private partnerships.” Without having any clue what they are really advocating for. I listened to a presentation from an elected official recently whose bio indicated he was personally and politically quite conservative. He closed by citing to Peter Senge and his book The Fifth Discipline and how we could restructure businesses and governments to eliminate the current Limits to Growth and Prosperity. Now clearly he had never actually read Senge’s books but someone had led him to believe Senge’s vision aligned with his own. Which it does not if you read the various posts under the Peter Senge tag. My point is pushing Senge’s vision and methods is about 180 degrees from his vision for the US and its future. All someone had to do was misrepresent Senge to gain his advocacy. I think there is a tremendous amount of that going on now as we get a full court press in the US to get all these policies and practices in place without a protest. You align these misrepresentations to entities or people who want to continue to rely on taxpayer money funding their salaries and companies. But what is being advocated for is ultimately the equivalent of letting in a horde of locusts. But the few who benefit either don’t know what is going on or they are not telling because the benefits of this cronyism are so huge right now. But the OPM-Other People’s Money will run out. And the WEF definition of innovation will destroy genuine innovation in the US. And then where will we be? Asking the Gates and Rockefeller Foundations to help average Americans out instead of sponsoring the Dalian Annual Meeting to put this pernicious vision in place? Sometimes I think I am suspected of shopping for gruesomely grabbing quotes to try to crystallize the extent to which the new focus of education is to be at a psychological level. I wish. These well-paid, frequently tenured or pensioned-for-life clowns really do write and talk about accessing the unconscious so that future actions will be guided as if by auto-pilot. (Search out RSA Social Brain Centre & Robert Kegan if and only if you have an adult beverage handy. A sense of humor and irony will serve you well too.) I can in fact take this all forward in multiple places but first let’s go back and thoroughly check out the enduring vision. And remember we went back to look at psychiatrist Roberto Assagioli’s 1965 Psychosynthesis vision of education used interchangeably with psychotherapy as a means of creating a desired self-identity NOT because I was bored and looking for something tantalizing to read. The League of Innovative Schools planned research involves conation and personal motivations as does the OECD’s current Subjective Well-being push. Looking into that pulled up 4 giants: Abraham Maslow, Carl Rogers, Mihaly Csiksentmihalyi, and a Roberto Assagioli. Who I had never heard of. That book title was a grabber. Even more troubling was seeing the book had been brought back into print for use in 2002, 2008, and 2012. If I was role playing Sherlock Holmes we would call that a keen indicator of current interest. I am going to interrupt the quoting for a dictionary alert to add to your Orwellian Decoding Glossary of Education terms. That’s right. It is the ubiquitous but vague term of 21st Century schools–‘learning to learn.’ Now if the 1962 vision had gone as planned and for sure in the new Positive School Climate (PSC) classrooms of 2013 the “exciting experience of exploring and discovering meaning is the central activity.” We need a PSC of course because ALL students need to feel an ‘atmosphere’ that is ‘fundamentally accepting’ so they will NOT keep their perceptions safely tucked inside themselves. They will share with their fellow comrades, I mean students, so they can all explore for meaning. That way those personal perceptions can be examined and changed to create new ways of looking at the world. In 2013 learning how to learn gets billed frequently as self-authoring–Robert Kegan’s 4th stage of consciousness, or Carol Dweck’s Growth Mindset. It is alive and well and coming to a K-12 or college classroom or workplace retreat near you soon. The global bureaucrats and politicians and Big Business are intensely determined that this time we will get a paradigm shift, starting at the unconscious mental level. And it all really does track back to what Maslow and Rogers sought for their humanistic psychology that led to a strikingly Marxian human development vision. Today HP runs around most often calling itself Transpersonal Psychology. As always, new names for enduring transformative ideas anytime notoriety intrudes. That’s solving problems by creativity and imagination and feelings unimpeded by a body of knowledge about previous consequences of a similar set of facts. It may be a grand way to encourage attempts to model and redesign societies and economies but the consequences will come from reality. Not the perceptions that launched the attempts to transform. But hey, I am a history major and I just don’t see how peace in our time is going to flow from stressing “emotional as well as intellectual experiencing. Learning about people involves an empathy, a feeling with them, an acceptance of differences, and an appreciation of variability in values and behavior.” That is the kind of nonsense that forgets that there really are bullies in the world who can only be held in check from fear of power and likely retaliation. It also forgets that not all cultures are compatible or willing to co-exist peacefully. It is all a prescription to ignorantly and in good faith lay down and await your fate. No wonder history now is only about reinterpreting the present. Available for what? Glad you asked. So the individual “will act on his information when the appropriate time and place occur.” And this kind of hoped for behavioral pre-programming was before Big Data and adaptive computer software and the planned gaming emphasis. Same desire now but much better and effective tools. That’s adequate for the future plans of transformation. Then and now and at all times in between. Psychosynthesis‘s publication in 1965 gave another tool in targeting the psychological and conation. Assagioli regarded a search for self-identity as the new purpose of education. Of course since he was a psychiatrist, he used the techniques of psychotherapy. Now we just call the same techniques brain-based learning theories or epistemological reflection and launch them on students in return for tax dollars and tuition payments in the case of private schools and colleges and universities. I used the term ubiquitous before and these theories are everywhere now. And not well understood. The typical doctorate program credentialing a Principal or Super doesn’t go through this as I have. It might impact the sought role as a Social Change Agent. 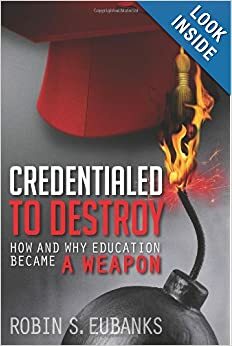 Once again we parents, taxpayers, and students are going to be called on to understand the real drivers in education better than the credentialed professorate and the public sector and their consultants. All of whom we are paying handsomely. I will close with a mention of a potential tragedy that happened locally last week when a middle schooler took a loaded gun to school. Parents have been concerned with how the incident was handled and what info was provided and the lack of interest in any public airing of what happened. School districts can deal with the world as it is or they can put their energy into switching to this Maslow inspired humanist psychological vision of changing the student at the level of their inner core. But reality does intrude. I suspect another tragedy that goes all the way through is only a matter of time because the focus of the administrators at all levels is on psychological innovations to gain social transformations. While hiding from the public that this is what is up. And duplicity takes even more energy and is a distraction from the realities all these students bring to school.